Has almost no blade and the scabbard is as flimsy as anything. Essentially it's a display sword. It's decoration, it'll crumble if you try to use it for iaido, but that's what you get for twenty bucks! Otherwise, is a pretty display sword and the stand is nice. it came all nice and shiny is for sure but the blade was as dull as the sheath and the bottom is very weak so im afraid to truely swing it at anything. ity looks nice and thats it! I havent got it yet but i hope it can cut. Great display sword for the price. Super fast shipping. Uhh, I haven't quite gotten it yet.. But I bet it's going to be great. The transaction was nice and smooth.. And the description was quite delightful. This is my first sword, and I gotta say that it is great to look at, especially the handle, it is durable, and it feels great in your hand. 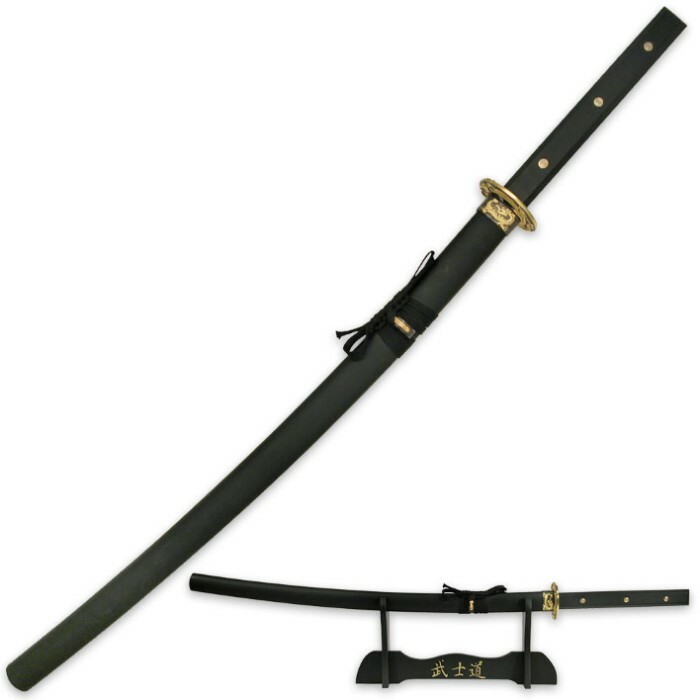 This sword is very nice, I love the wooden handle. The writing is very nice also. There was only some minor scratches on the blade, but you can't notice unless you look close because there is so much more to look at then just the blade(although that is the main part). 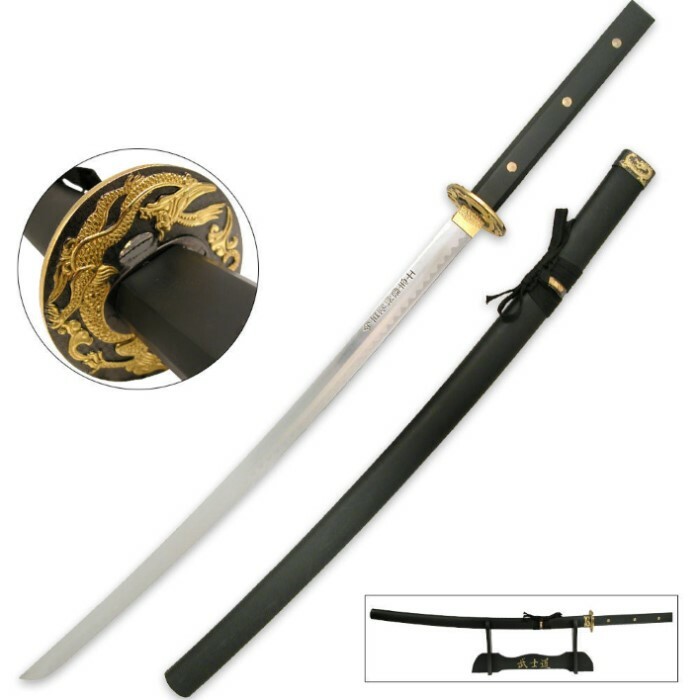 I recommend this sword if you are considering buying it. Very nice.